I just got these great gift boxes. These are Italian design gift boxes and a really neat design. Simply push the ends together and box will fold open to a good sized box (see video for demonstration). There are tabs that you can use to close up the top. There is a convenient little handle on the top that you can easily carry it with. 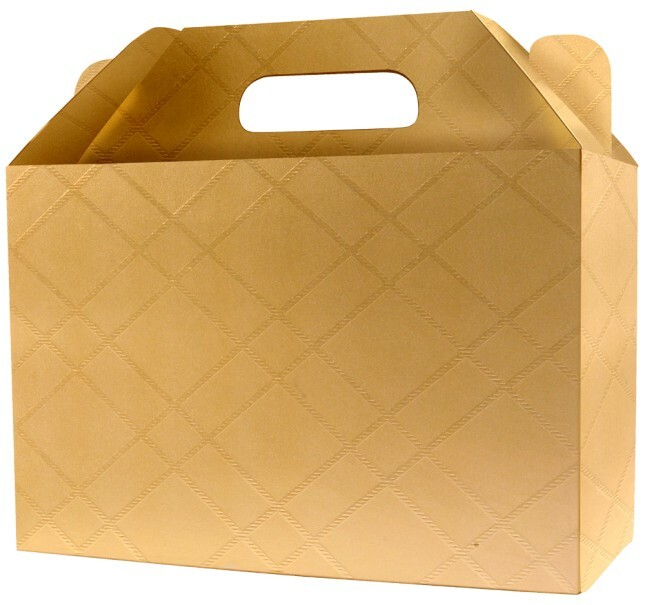 It holds a good amount of items which is nice, it’s a great size. I like to use these for gifting but also for things like goody bags for parties. They are solid gold with an elegant criss cross pattern on them. It’s minimal and a nice design. You can add to them though, like my kiddos like to add stickers to the boxes to make them even more decorative. Great, high quality, easy to use and well-made.